Basil is super easy to get this time of year. Many of you might grow it in your gardens all ready…lucky you if you do! Strawberries are abundant too. Go ahead & get cocktailing! I’m heading out to go paddle boarding in these beautiful mountains. Then I’m home to these! For Recipe Details Click Here. 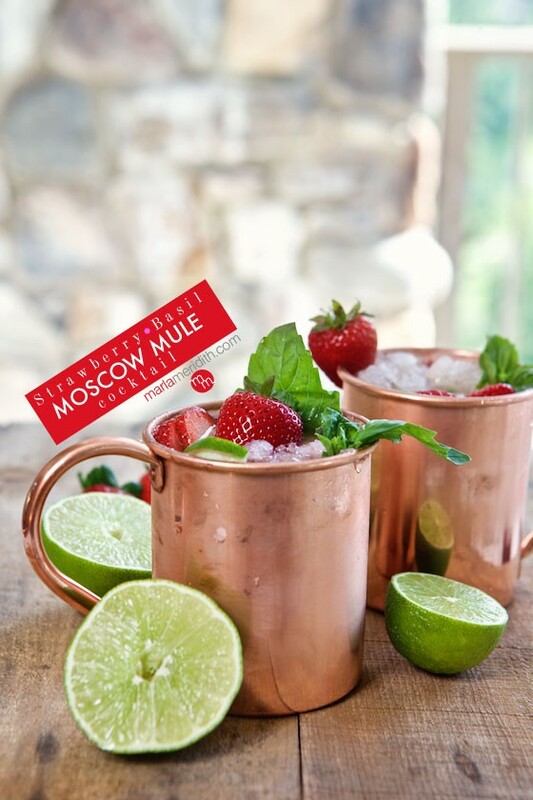 Love moscow mules!! The strawberry basil flavor sounds amazing! Recipe states Lime juice but directions to make it state Lemon juice. Wondering minds want to know…Lemon or Lime?